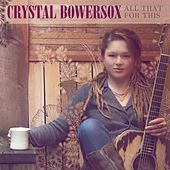 Crystal Bowersox first came to prominence as the runner-up on Season 9 of American Idol. She was a fan favorite for the majority of the season; voters loved her raw, gravelly voice and no-nonsense attitude. Bowersox showed an interest in music early on in her childhood and attended the Toledo School for the Arts. Looking for her big break, she moved to Chicago, where she auditioned for Idol. 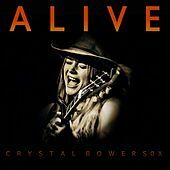 Although she didn't win the title, Bowersox was picked up by Jive and released her debut, Farmer's Daughter, in 2010. Shortly before her album came out, Bowersox married fellow musician Brian Walker, with whom she duets on the single "Mason."